The annual culinary extravaganza, Who’s Cooking Dinner? 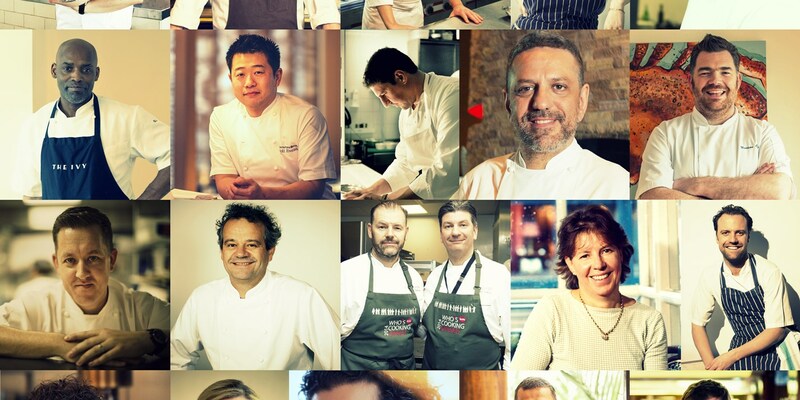 is back, with another twenty chefs cooking up a storm in the aid of charity. We’re expecting a night of fantastic food and plenty of manic moments in the kitchen. Eliot Collins fills us in on this year’s upcoming event. 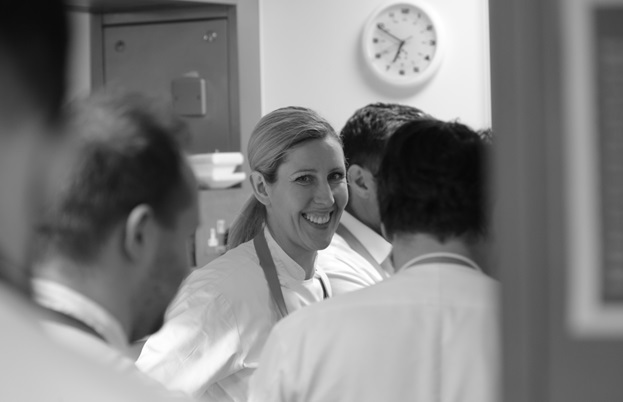 Next Monday, the kitchen at the Four Seasons Hotel, Park Lane, will be turned into a playground of organised culinary chaos. 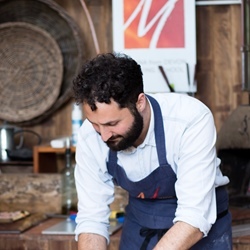 Twenty of London’s most elite chefs will descend on the hotel to create twenty bespoke menus for twenty tables to help raise a substantial amount of money for the leukaemia charity, Leuka. Last year Great British Chefs went behind the scenes of the event for the first time and talked to chef Peter Gordon and restaurateur Chris Corbin about how the dinner first came about sixteen years ago. We’re back again this year to join in the fun, dodging between the crowded kitchen stations where the chefs will be throwing out more plates than a Greek wedding. So, the big question, who is cooking dinner…? 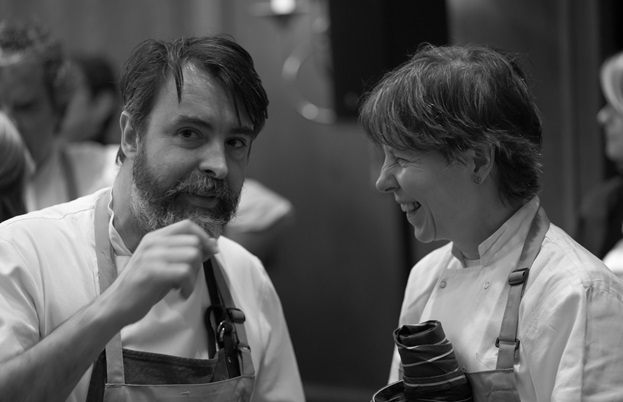 The forthcoming 2016 line-up includes a collective sixteen Michelin stars and an impressive list of some of the country’s best, and well-known, cooking talent: Angela Hartnett (Murano), Ashley Palmer-Watts (Dinner by Heston Blumenthal), Brett Graham (The Ledbury), Bruce Poole (Chez Bruce), Chris and Jeff Galvin (Galvin Restaurants), Clare Smyth (Restaurant Gordon Ramsay), Claude Bosi (Hibiscus), Dan Doherty (Duck & Waffle), Francesco Mazzei (Sartoria), Gary Lee (The Ivy), Giorgio Locatelli (Locanda Locatelli), Hideki Hiwatashi (Sake no Hana), Mark Hix (HIX), Nathan Outlaw (Restaurant Nathan Outlaw, Outlaw's at The Capital Hotel), Nieves Barragán Mohacho (Barrafina), Nuno Mendes (Chiltern Firehouse), Rainer Becker (Zuma), Sally Clarke with Michele Lombardi (Clarke's), Tim Hughes (Scott’s) and Tong Chee Hwee (HKK). And, who’s mixing the drinks…? The food is not the only highlight of the night, with bespoke cocktails created by master barman Rich Woods – the man behind the bar (and behind an impressive beard) at Duck & Waffle and SushiSamba. Best of luck to all the chefs and staff on the night, and we can't wait to help raise as much money as possible for such a worthy cause!